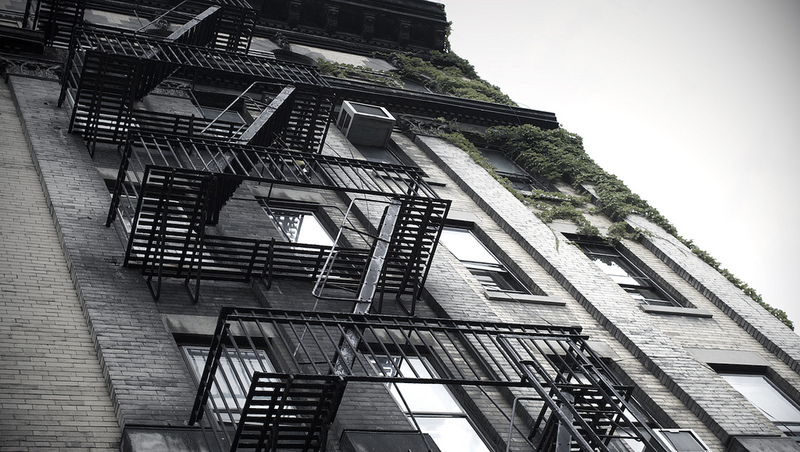 The outdoor fire escape has long been a fixture in the New York City streetscape, but more and more buildings are losing their iron appendages now that fireproof interior stairwells are seen as the emergency exit of choice, reports the Post. Moreover, the fire, buildings and city planning departments are amending fire safety rules in response to the influx of supertall towers to allow for “more occupant-evacuation elevators that can be used to move people down a tower in the event of an emergency.” While the new regulations are progressive and safer, losing the fire escape architecture is like losing a piece of New York City history. Fire escapes were born out of a tragedy during a time when population was booming and multi-family tenements were quick to rise. But these structures were “constructed with low-quality materials that were quick to burn, and the cramped interior spaces were filled to well over their capacity,” notes Off the Grid. In 1860, a fire ripped through a six-story tenement at 142 Elm Street (today’s Lafayette Street), killing ten women and children. In response to the disaster, the city passed “An Act to Provide Against Unsafe Buildings in the City of New York,” which regulated tenement construction and said that “In all dwelling-houses which are built for the residence of more than eight families, there shall be a fire-proof stairs, in a brick or stone, or fire-proof building, attached to the exterior walls…or if the fire-proof stairs are not built as above, then there must be fire-proof balconies on each story on the outside of the building connected by fire-proof stairs…All ladders or stairs from upper stories to scuttles or roofs of any building, shall if movable, be of iron, and if not movable may be of wood; and all scuttles shall be not less than three feet by two feet.” Following the 1911 Triangle Shirtwaist Factory fire, these regulations became stricter. But the design of fire escapes also became more esthetically focused, with architects employing whimsical wrought iron creations or unusual, curving forms. 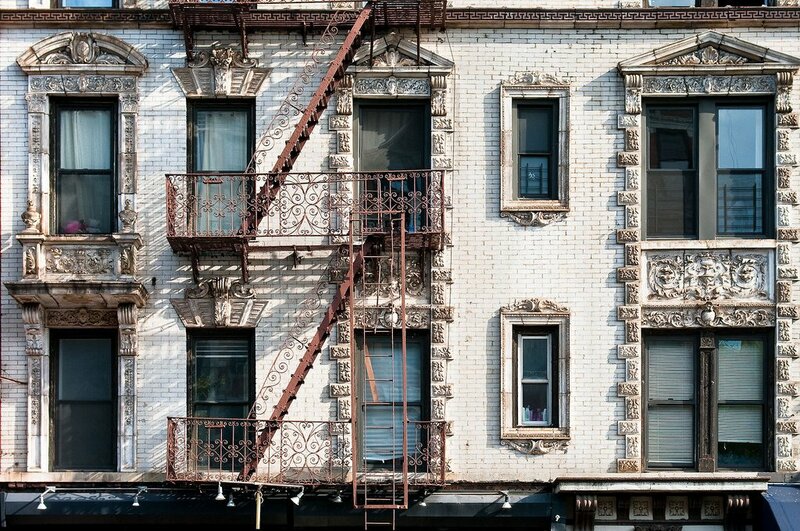 and tenants use the fire escape to spy on other apartments or to access other parts of the building endangering themselves and possibly harming the property. If it is okay to not have a fire escape, why would someone file an easement? And didn’t Senator Little’s law about adverse possession address this problem. We were so worried when we found multiple issues iirc time warner and a cell phone carrier and possibly one other vendor was using our courtyard for our neighbor’s building that we tried to find out if someone could claim your property if they jumped off a roof onto your locked and enclosed property but no one ever explained the law to us. Fortunately, it all ended very well and everyone turned out to be very kind to us when in the beginning they seemed to refuse to budge.